The band’s new EP Psychic Quarry is out April 28. 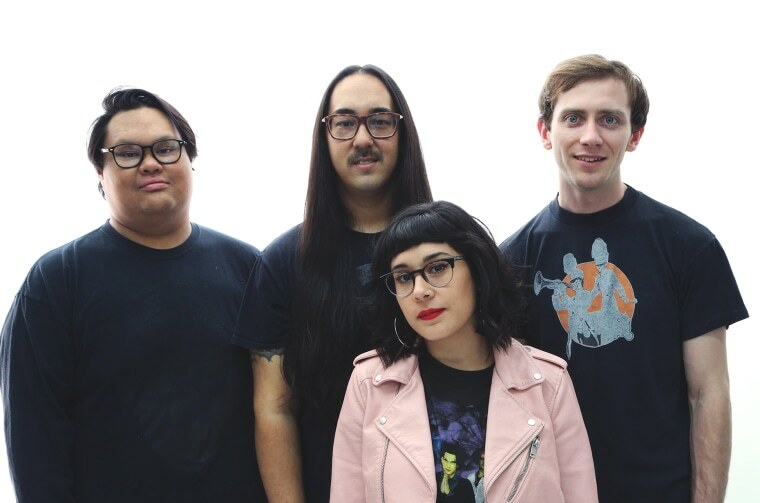 On "To Love And Feel Alive," the L.A.-based band Sheer offers psychic balm delivered in a sedate pop package. The song recalls the windswept, insular sonic landscapes of Mazzy Star turned outward to a world in desperate need of reassurance. Bandleader Gina Almaguer is at the frontline of the gentle exorcism of self doubt: "Don't compromise, don't apologize for your life," she sings with the conviction to repair the best parts of a broken person. Press play, scroll through some Wholesome Memes, and remind yourself that you're perfectly ok.
Over email, Sheer told The FADER that the song was inspired by the devastating results of the 2016 presidential election. "This song was written just a couple days [afterwards]. Like most others, I was really affected by the results and became very overwhelmed with fear and worry. I couldn't stop thinking about people who have less privileges than I do and how Trump's America is set on taking those away. I just felt like I wanted to hug and comfort everyone and let them know that this is not their fault and everyone deserves the right to live a happy and free life despite what is happening to our country." Psychic Quarry, Sheer's new EP, is out April 28.